Get on at 7th bus stop Shizuoka north exit. Time table. 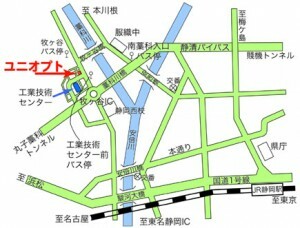 Get on at 3rd bus stop Shizuoka north exit.Time table. Tomei Expressway(東名高速道路)　…　We’re located 20 minutes by car from the Mikkabi(三ヶ日) interchange.